Park City – it’s still a good deal! 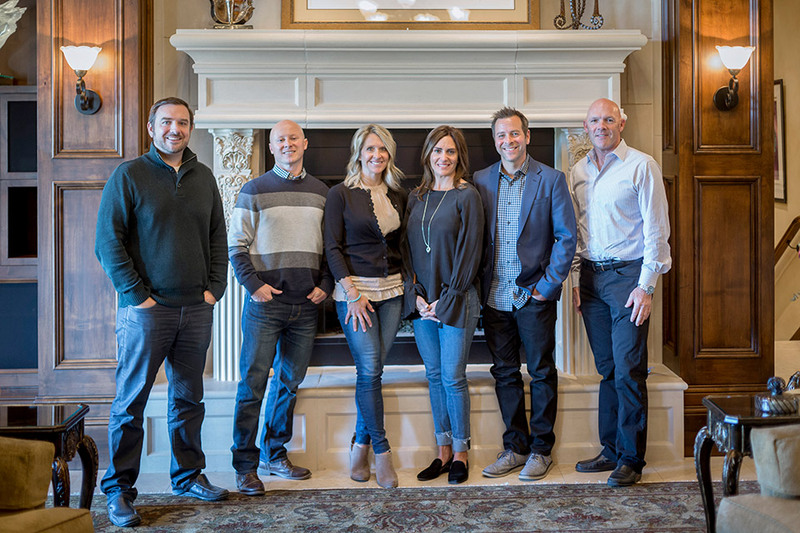 Western Home Journal’s Real Estate Roundtable for the 2017/18 winter season features the insight and expertise of real estate partners Craig Popa and Patrick Howell of Berkshire Hathaway as well as husband and wife Sean Matyja and Heather Peterson of Summit Sotheby’s International Realty and Rick Shand and Tracey Jaret of Berkshire Hathaway. 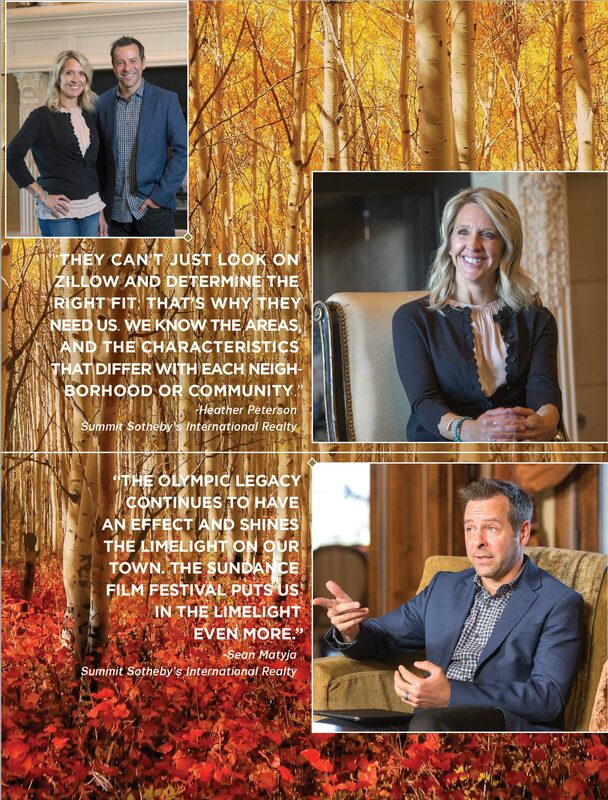 Giving the lowdown on the Park City real estate scene, these three powerful duos have much to share with buyers and sellers with their collective experience and knowledge—15 to 30 years between them all. It should come as no surprise that Park City and the surrounding areas are hot commodities, and the market is holding on strong. The advice and insight these top real estate experts provide, on what many consider a booming market today and for the future, is invaluable. Read why you should be ready to make an investment. 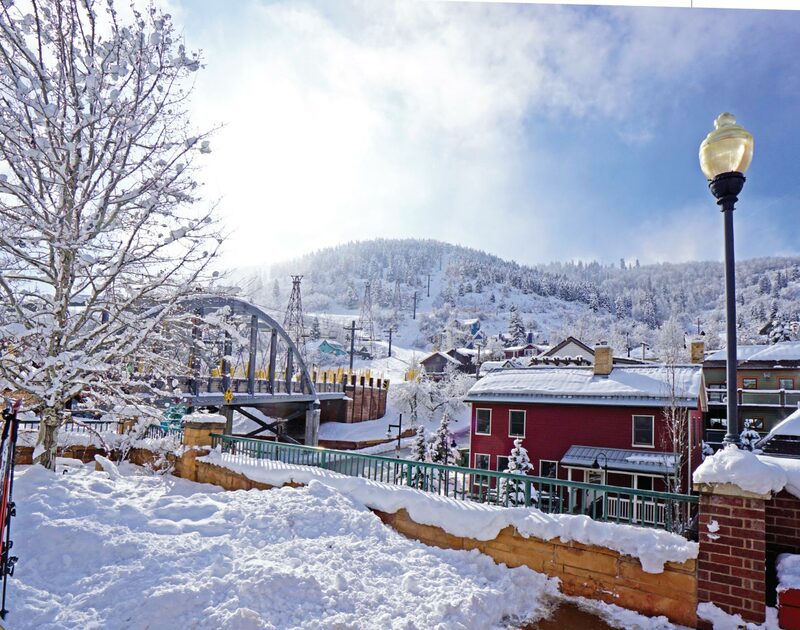 WHJ: Park City continues to boom as a major mountain town real estate market. Describe the state of things—how has it changed in the last year? What are some of the more interesting ups and downs? Tracey Jaret: I believe Vail Resorts has brought more visitors with the Epic Pass. Instead of going to Colorado, people bought the Epic Pass to see what is happening in Utah. We’re also certainly seeing more traffic from the pass. Patrick Howell: I agree with Tracey. We had more visitors this past year. Utah set a new record of skier visits for the 2016/2017 ski season at approximately 4,584,000 skier visits, which was 2.85% higher than the year before. And not only are we seeing more winter visitors, we’re also seeing busier summer months including July and August. There is no doubt that Park City is a year-round destination. Rick Shand: We’re getting traffic from areas that traditionally we’ve not seen before. Texans have been traditionally more of a Colorado visitor and we’re starting to see more people from Texas. Patrick Howell: In addition to visitors from other states, we’re seeing more international visitors from Mexico, Australia, Europe, and Canada who are coming to Park City because of the Epic Pass and Vail Resorts. Craig Popa: I think people are not just going to Colorado, Utah, or California with the Epic Pass. Epic Pass holders are starting to visit multiple Vail Resorts each season. With the purchase of Whistler by Vail Resorts, I suspect we will see a continued increase in international visitors and buyers, as Park City becomes more of an international ski destination. Rick Shand: With that, those who visit Whistler will inevitably come here. Craig Popa: Exactly. I suspect many international travelers will now spend two to three weeks here in the U.S. and then they will go, not only to Whistler, but also to Utah, Tahoe, and Colorado. Rick Shand: Tracey and I were just in Whistler in early July. It’s a fabulous area with tons of summer activity, but going to Whistler from the airport, you have to go through downtown Vancouver, which is all surface streets. It’s a tough one. Patrick Howell: That speaks to our convenience compared to other resort towns and how easy it is to fly into the Salt Lake City International Airport. From the airport to Park City’s Main Street, it’s just 38 miles and accessed by I-80, a major freeway, making the drive from Salt Lake City quick and convenient. Heather Peterson: They land, they drive 35 minutes, and they’re here. Time is most important to our clients. Tracey Jaret: I think many people are making that transition from Colorado because the commute is easier and people have more time to enjoy their vacations. Heather Peterson: When clients are shopping ski resorts, we’re still a deal compared to Vail, Breckenridge, Sun Valley, and all those areas. When you look at the price of what they’re getting, the commute, and how much terrain they can ski at one resort, I think that all adds up. Rick Shand: These are primarily second homes and gathering spots for families. How can the 20-year-old kids get here when they do have the time? How quickly can grandparents arrive? This convenience factor is not just for the homeowner, but for the extended family as well. Heather Peterson: We’re a year-round resort. There are more and more activities being added to the summer and fall seasons. Rick Shand: One of the reasons we went to Whistler was to see the summer programming. This is what will happen at The Canyons. Tracey Jaret: The Canyons has the infrastructure for more summer programming. There are trails for mountain biking and areas for kid’s activities. When we were in Whistler, they were having a kid’s festival. It was a huge draw. We can have these events here. Rick Shand: There’s a new programmer at The Canyons to spearhead this revival because there used to be concerts and activities in the past. I don’t think this will take away from Deer Valley or Main Street. It’s just another great venue in Park City. Craig Popa: There are not many ski towns like Park City that have the backstop of a couple of million people such as we have in Salt Lake City. Park City not only acts as a world-class ski destination but also as one of Salt Lake City’s most sought-after bedroom communities. There are ebbs and flows to what areas are hot in town and, coming out of a recession, we had the primary markets lead, and now we’re starting to see a transition to the second-home market leading. The unique thing about Park City and areas in Salt Lake City is that there is always a little bit of a tug-of-war with our markets. People will search around Park City, when Salt Lake City areas reach a threshold, and that is a unique dynamic for a ski town. It provides stability compared to other resort communities. Patrick Howell: We’re currently seeing a shift with some areas that were originally designed to be second-home neighborhoods now becoming more primary areas, such as Newpark and Redstone. These neighborhoods provide easy freeway access to get to Salt Lake City, and have multiple restaurants, shops, and great trail access right out the door. With options starting under $500,000, the area has attracted professionals who work in Salt Lake City and people who just need to be within a 30-minute drive to the airport. Tracey Jaret: We see families moving to Park City from Salt Lake City because of the winter inversion. Park City doesn’t experience the same poor air quality. Patrick Howell:We also have some great companies here such as Skullcandy, Backcountry.com, Rossignol, Armada Skis, Whole Foods, and other professional services that employ lots of the locals. Heather Peterson:When people are looking to buying a home here, whether it’s an investment, primary, or secondary, the big picture of how fiscally sound the state is becomes a big confidence-builder for people spending their money in Utah. Also, the quality of life is number one. The crime rate is low and the clean air is very important. Tracey Jaret:The public school system is good, and we have a community here where people are living here full-time and contributing to the schools. The second tax also helps to fund things as well. Sean Matyja: What has changed over the years is that Utah had often been viewed as an odd state and a little bit unknown, and a little bit of a secret. The Olympic legacy continues to have an effect and shines the limelight on our town. The Sundance Film Festival puts us in the limelight even more. The Epic Pass has brought new people to town whose primary destination has often been Vail or other Colorado resorts, but now they can easily add Park City to their list and give it a try. They’re always surprised when they arrive at how easy it is to get here compared to other mountain towns, and they are impressed with the resorts and town in general. Because we do have a strong local community, people quickly see Park City as not only a vacation destination, but also a place where they can eventually make a full-time move. WHJ: Park City has developed “micro-markets.” What are these markets and how do you approach them? What is the most popular? Heather Peterson:When interviewing buyers interested in buying in Park City, we ask qualifying questions. Are they buying for primary, secondary, or as an investment? Whether it’s The Canyons or Deer Valley, it’s listening to the buyer and what their wants and needs may be. We’re their guides to assist them in focusing on the best fit. Rick Shand:Within city limits, we have areas that range from brand-new ski-in and ski-out in Deer Valley, to 120-year-old homes in Old Town, to starter homes in Prospector. I think that is where the term ‘micro-market’ comes from. When wanting to buy a home in Park City, you start off with nine different areas, all with different characteristics. Within those micro-markets, there are old and new properties as well as remodeled homes. It takes a real estate expert who has been in town long enough and knows the history of these areas and what’s available. Heather Peterson:You need to know the buyer’s price point. There’s everything from an $80,000 condo to a $30 million dollar home and all the options in between. Tracey Jaret:If someone is looking for an investment property, for example in lower Deer Valley, you’re not allowed to rent, but down the street renting is allowed; it makes our market very complex. Heather Peterson:They can’t just look on Zillow and determine the right fit; that’s why they need us. Patrick Howell:We’re not just a ski town with just ski properties, although that is a main focus. There are many options in the area ranging from private golfing communities, ranch properties, full-time primary resident communities, and of course our resort communities for vacation properties and short-term rentals. Heather Peterson:We know the areas, and the characteristics that differ with each neighborhood or community. Patrick Howell:You also have to be aware of which neighborhoods allow for short-term vacation rentals and the ones that don’t. If someone has a request for a vacation rental property, we know which areas to take them to and provide options. Or if they are looking for a primary residence and don’t want short-term rentals around them, we know those neighborhoods and options. This information is not easy to gather for someone first coming into town. Rick Shand:Our community has pushed out beyond the city limits. Ten years ago, Redstone would not be considered part of town. It’s part of Park City now. We have room to build more affordable housing and for our market. WHJ: What’s the “hot” property that you all discuss the most? Heather Peterson:There’s no one ‘hot’ property but Promontory has been very popular because it’s family-centric. It’s the most amenity-rich development. There’s something for everyone. Rick Shand:It’s park and play. Heather Peterson:You don’t have to venture out if you don’t want to do so. Rick Shand:Canyons is hot and the Jordanelle area is hot. The entire perimeter of the reservoir will be developed at some point. The land is cheaper in that area and developers will build more affordable housing there. Patrick Howell:As prices rise in Park City, many buyers have not started to look at lower-priced options in the Jordanelle area such as Black Rock Ridge, Hideout Canyon, and Deer Mountain. These areas have started to grow in popularity and are just approximately 15 minutes from the heart of Park City and Main Street. We’ve seen an increase in existing Park City residents who are selling their homes and downsizing to these areas. I think this trend, around the Jordanelle, will continue and strengthen in the years to come. Tracey Jaret:It’s great for those soon-to-be empty-nesters, and it’s great if you are wanting to downsize. Sean Matyja:There are quite a few locals out there. They wanted to downsize but still be close to town. Rick Shand:When someone decides to cash out, they may not have the equity to be in some of the higher-priced communities. This is where the Jordanelle community is a great option. They may not be able to do this in Vail or Sun Valley. Sean Matyja:You don’t have to live very far from town. Craig Popa: It really depends what buyers are looking for, as there are ‘hot’ segments in most all areas of our market. That being said, all the new properties—Lift Park City, Apex Residences, Juniper Landing, Stein Erickson Residences, and One Empire Pass—they’re all outperforming the older projects in the same communities. 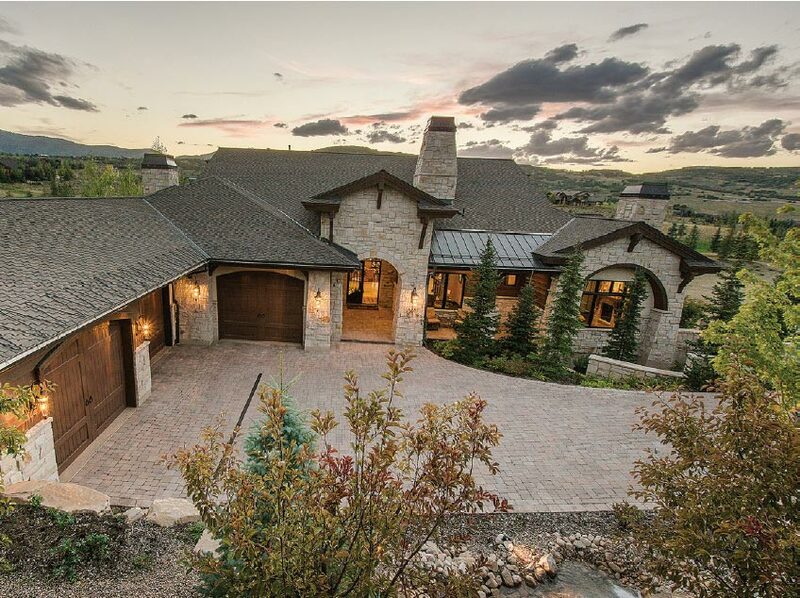 WHJ: There’s an emerging design and renovation market in the Park City and surrounding areas, what are some of the purchase and sale values in this arena? Tracey Jaret:We’re lucky as real estate agents in Park City because we have so much inventory and product to sell. We have the Mountain Modern or the Traditional Mountain Home. We’ve got a lot of inventory and a little bit of everything. It’s not like Vail where they’re pigeonholed to two or three property types and price points. Rick Shand:There’s no doubt that the contemporary look is driving the higher price points and is a challenge for us as realtors because they may be next to a 30-year-old home, which does not command the same price point. Tracey Jaret:We still have teardowns because people can’t find the perfect lot. It may exist in an established neighborhood, but the house does not meet their needs so they tear it down. Rick Shand:In Old Town, if it’s a historic home, it’s a remodel. If it’s in Park Meadows or Prospector, it’s a teardown. Tracey Jaret:If they want the location and a particular view, and if they have the money to spend, they want what they want. They will buy something that needs a complete renovation. Rick Shand:It’s interesting to see where that’s happening. It started in Old Town and migrated out to Park Meadows. It’s not in Jeremy Ranch or Pinebrook yet. Sean Matyja:It’s your primary in-town locations where you have only a handful of lots remaining, and they may not be for sale or they’re overpriced. The next option is to find a home that needs some work, in a great location. You can remodel and make it your own. Craig Popa: There are ebbs and flows that you see if you study older neighborhoods. Currently, Old Town is ripe for teardowns or heavy remodels. You see this less often in our less mature communities. Land availability is always a driving factor. Twenty years down the road when there’s land scarcity, you may see that happening in other areas around town. Tracey Jaret:A teardown is usually happening with someone who is here full-time. They like the community, the space, and the neighbors. Heather Peterson:Our buyers know what they want and are willing to spend what it takes to get the perfect property. If the property does not meet 10 out of 10, then they are turning to properties that need to be completely remodeled or torn down so they can create their dream homes. Location and views are everything. Rick Shand:There’s a pent-up demand for new product in the greater Park City area. There are families who are snowboarders or people who snowboard, and there are no new options. Sean Matyja:That is why Canyons Village has been seeing great success. A main aspect in people’s decision to buy there is what’s to come, which is a pedestrian-friendly alpine village. The recent new developments there are in a premier location, and will always be the center of this new village, as other properties are built around them farther out from the village core. Patrick Howell:We’re seeing a strong trend of people looking to upgrade to new construction within their current neighborhoods. Looking at Deer Valley and Empire Pass, we’re seeing buyers who are upgrading to new ski developments such as One Empire Pass by East West Partners, Stein Eriksen Residences, and The Goldener Hirsch. These buyers want to remain within the neighborhood and area, but have been waiting for new construction options. It’s been a while since there were any choices. The success of these new developments, show that there has been some unmet demand for new luxury ski resort developments. WHJ: Why did you all decide to team up as realtors? What are some of the benefits a team has to offer a buyer or seller? Tracey Jaret:As a team member, one of us is always more focused and stronger in one area, and it’s a good play-off. The female and male team dynamics work really well because most of our clients are husband, and wives, so it’s a nice blend. When you’re representing developments, you need a team. Heather Peterson:One of us is always available, and with two people involved, we can better serve our clients. Negotiations over contract terms are important and again with two people, we can talk through various scenarios to be sure we’re guiding our clients as they are making very important decisions. Sean Matyja:Even with years and years of experience, you think you have dealt with every situation, and then something unique comes up. As Heather mentioned, by having two agents on the job, the client benefits from double the experience and double the attention to the small details that can make or break a transaction. Rick Shand:Individuals operate on single homes and condos. As soon as you are in something larger, there’s an advantage to a team. There’s also an increased workload, and you have the support. Craig Popa: We have eight on our team. Not all markets and projects are hot at the same time. Having a team component, we can have our hands on six or seven things at one time. We also strongly believe that every individual on our team brings a different viewpoint and strength to our group. We believe having multiple viewpoints on a team equates to a more well-rounded decision-making process. This allows us to gain a vast amount of knowledge to better consult our clients as well. Lastly, when on vacation, it’s nice to know everything is in good hands with the team and for our clients it’s business as usual. Tracey Jaret:As a team, we know the entire market, which keeps us elevated in the marketplace. This business is based on demand, and we need to be available. WHJ: Are there any new projects on the horizon you are excited about? Sean Matyja:The Goldener Hirsch is a project Heather and I are working on. The Goldener Hirsch Inn is a charming, Austrian-themed boutique hotel in the heart of Silver Lake Village. It’s a highly sought-after location, and very pedestrian-friendly with easy ski access. The Eccles family has owned it for nearly 30 years, and they cherish the property and the guests who have stayed over the years. Next door to the Inn, they are building 40 new contemporary residences that will connect to the Inn. As a family, they are not a typical developer; there is strong emphasis on designing something special and unique, more of a legacy property. They assembled an amazing team of architects, designers, and contractors. This will be an amazing new addition on the final development parcel in Silver Lake Village. It is the type of property you feel lucky and honored to be a part of. Heather Peterson:There is also a new development coming up at Deer Valley’s Empire Pass. Empire Residences will include 20 ski-in, ski-out condominiums, each with amazing mountain views. Also, unique here, each residence will feature extra-large outdoor decks, covered and heated, and each residence with its own hot tub—a few very rare features for condos in Empire Pass. The building will also feature a large ski-prep room, après-ski lounge and pub, and a ski beach patio as the location of the building is adjacent to the Silver Strike chairlift at Deer Valley. Rick Shand:A primary new area being developed is the greater Canyons. This will be a 200,000-square-foot area with 40,000 square feet of commercial retail space with food and beverage, which is lacking in the core of the village. Craig Popa: I agree 100 percent with Rick. Canyons Village is ready to take off. You have the perfect storm, but in a good way. Vail Resorts came in and connected Park City Mountain Resort and The Canyons. This created one of the largest resorts in the U.S. operated by arguably the industry’s best operator. Then, you have Replay Resorts arriving shortly after. Replay Resort’s history speaks for itself. The principals of Replay Resorts have a vast wealth of experience in designing world-class villages and resorts. Whistler, in Canada, is a perfect example. Having been at Canyons Village since 2001, I feel we have two of the best in their respective industries working together to unlock the potential that Canyons Village offers. Tracey Jaret:Having a village to go do stuff is necessary because you can only ski so much. You need entertainment, and it creates another place to do other things. You want to have variety. Rick Shand:The support systems that the city has developed, such as an electric bus system and e-bikes, work for the community and visitors. Sean Matyja:Park City is a year-round home for many people. These long-time locals work very hard to make all this happen. It’s not easy to create so many great amenities that we all get to enjoy. Rick Shand:As easy as it is now to live in Park City and commute, it will become easier in the future with the Salt Lake City $2 billion extension. Park City is like a solid blue chip stock. The town has great fundamentals and having the ski operators of Vail and Deer Valley is also part of it. WHJ: Can you describe some of the buyer demographics you are seeing? Has there been a change in the last five to eight years? Craig Popa: I feel like five to eight years ago we were seeing more primary homebuyers. Now, it appears to have trended more towards the second-home buyer. A number of buyers have noted the great run the stock market has had over the past seven years and this allows them to cash out profits and purchase a vacation property for their family. Heather Peterson:I’m seeing high-ranking professionals who have the ability to work remotely. They are looking for a better quality of life for their family and want a sense of community where they can grow their roots and set a foundation for the future. Rick Shand:The second-home market is highly influenced by the stock market. We’re almost back to median price at 2006. Fifty percent of our market is cash. It’s been that way for a number of years. One thing to note is the three- to four-million-dollar market is not as strong as below or above it. Tracey Jaret:It’s hard to tell a seller this. It’s because the sub market they are in is not selling, and it will sell eventually. Sean Matyja:When you have a buyer who is looking to spend $3-4 million, they often have in their head a $4-5 million home. They know what they want to find, but if it’s not available in that price range they don’t often move up in price. Buyers in the higher price brackets seem to have more flexibility to move up if needed. It’s just a tough price range to be in. WHJ: Can you all share an anecdote about a buyer or seller? Rick Shand:Tracey and I brought on a new member to our team. He’s a 15-year veteran agent in the Vail market. He approached us and he wanted to move his family to Park City. We’re now a team of five. It was interesting that he wanted out of Vail and into Park City. Heather Peterson:Three years ago, our clients had a very unique luxury home and they had talked about selling, but we had not yet listed the home for sale. We had an opportunity arise, and showed the home to another agent and their client. Just before I went into labor, an offer came in. It’s amazing the timing of this business. As I was in labor, Sean was continuously stepping outside the room to make calls working on this very large deal. It was October 11, and later in the morning, we had a beautiful new baby girl and a $10 million deal accepted. That’s teamwork! Located in the premier Glenwild golf community, 340 Hollyhock Street exists in a private, gated residential community voted the best Utah-based development of its kind by Golf Digest. In addition, The Glenwild Golf Club is consistently ranked as the #1 golf course in Utah with its emerald links and luxury homes boasting Park City’s most recognizable vistas of Synderville Basin and three of its famed ski mountains. With 6 bedrooms and 7 baths on .98-acres, this 12,000-square-foot home presents an incredible floor plan with an uninterrupted and effortless flow as well as premium product in its build and appearance. With many luxuries to enjoy inside, this exquisitely built home spares no detail. Visit mtnhomeparkcity.com for more details. Contact Berkshire Hathaway’s Craig Popa at craig@bhhsutah.com or Patrick Howell at patrick@bhhsutah.com for more information.